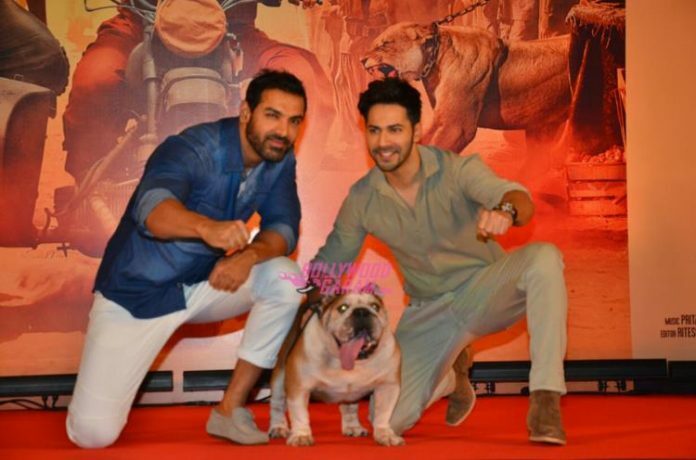 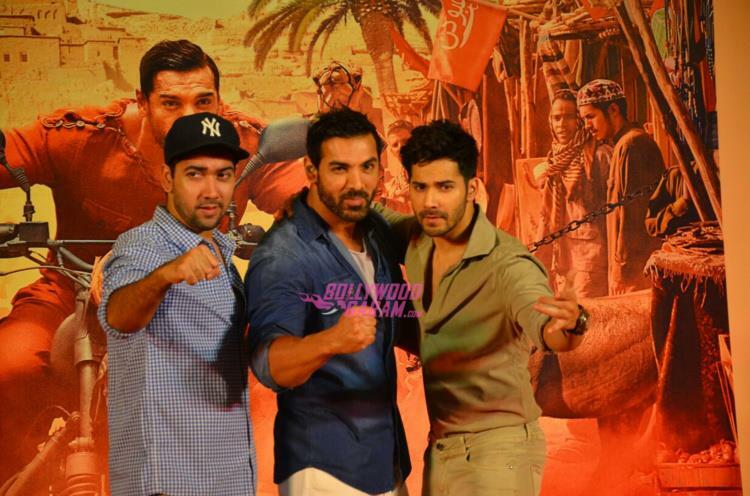 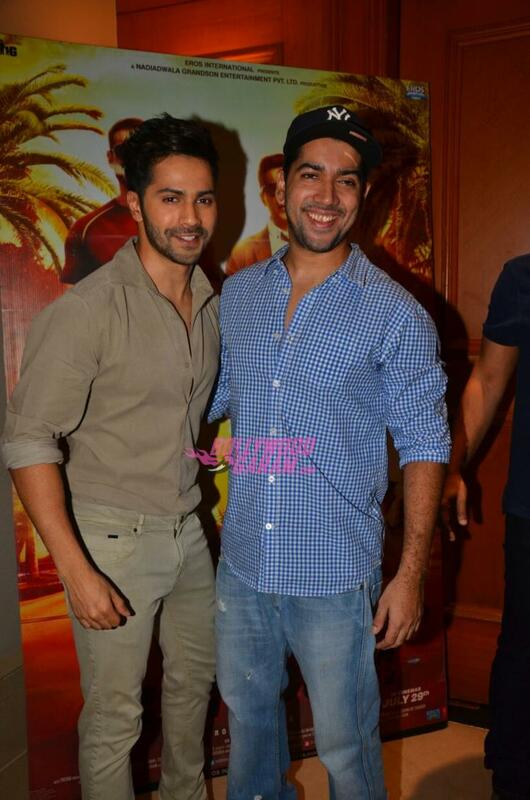 Bollywood stars John Abraham and Varun Dhawan promoted their movie ‘Dishoom’ at a press meet held in Mumbai on August 3, 2016. 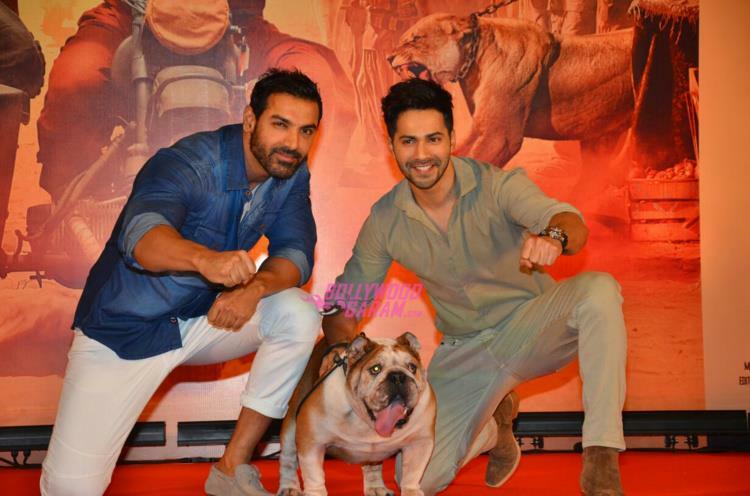 The promotional event also saw the presence of Sajid Nadiadwala and the dog who also starred in the flick. 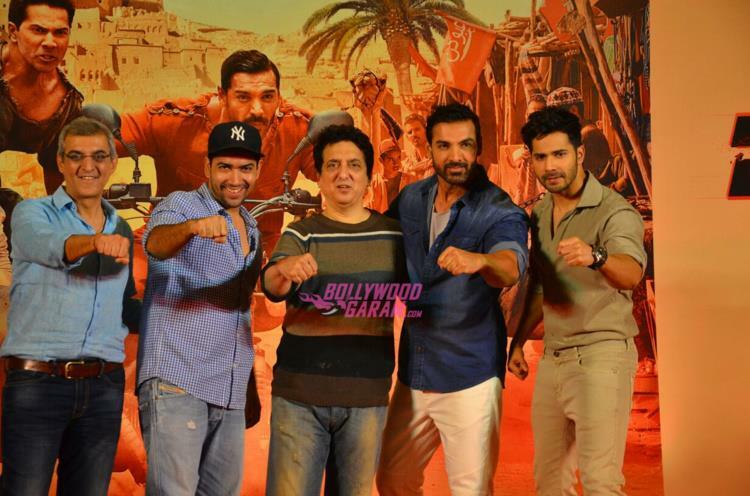 The movie is directed by debutant Rohit Dhawan and produced by Sajid Nadiadwala and Sunil A. Lulla. 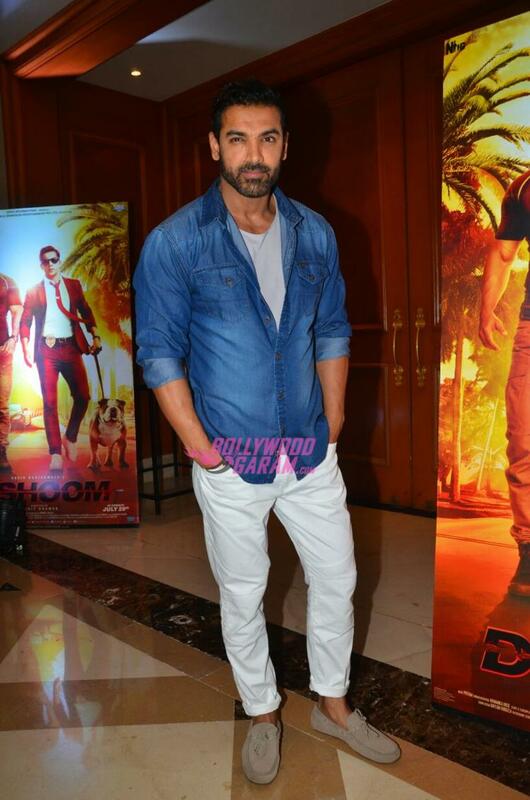 ‘Dishoom’ also stars Jacqueline Fernandez and has hit the theatres on July 29, 2016.